A rainy night, a father returning home with his three children, a speeding car hurtling toward them out of nowhere. What at first seems like a tragic, but routine, car accident suddenly takes on a more sinister cast as evidence emerges that nothing about the crash is accidental. But who would want to kill an Amish deacon and his children? He leaves behind a grieving widow and a young boy who clings to life in the intensive-care wing of a hospital, unable to communicate. He may be the only one who knows what happened that night. Desperate to find out who killed her best friend's husband and why, Kate Burkholder begins to suspect she is not looking for a reckless drunk, but instead is on the trail of a coldblooded killer. It is a search that takes her on a chilling journey into the darkest reaches of the human psyche and strikes at the heart of everything she has ever believed about the Amish culture into which she was born. 'Continues to explore the Amish way of life with a fast-paced mystery' Kirkus! `Continues to explore the Amish way of life with a fast-paced mystery' Kirkus! 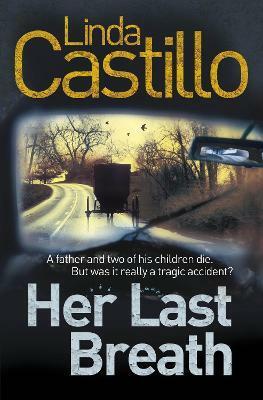 Bestselling author Linda Castillo knew at a young age that she wanted to be a writer and penned her first novel when she was thirteen. In her spare time, Linda enjoys reading, showing horses and barrel racing. Her first three novels featuring Kate Burkholder are Sworn to Silence, Pray for Silence and Breaking Silence.